I participated in an Influencer Program on behalf of Mom Central for Silk'n Blue. I received a product sample to facilitate my review. All opinions expressed are my own. Next month I'll be turning 41 years old. I think I am experiencing more anxiety about this birthday than I did about my 40th. I am suddenly aware of how many gray hairs I have, extra wrinkles, etc . . . The only thing that made turning 40 slightly traumatic for me was suddenly noticing an increase in acne right around that time. Now at almost 41, I am not only self-conscious about those gray hairs and fine lines, but I am painfully aware of how terrible my complexion looks. So, here is a photo of me, with no makeup, no filter, and no air brushing. Eeeeek!!! I can actually live with the wrinkles, but the bumpy skin, enlarged pores, and scarring, I'd much rather do without. That's why I agreed to try the at-home acne treatment, Silk'n Blue. I've tried a variety of different over-the-counter acne treatments this past year, including various cleansers, toners, brushes, and more. Nothing seemed to make a difference. That's why the Silk'n Blue drug-free treatment appealed to me so much. It was different than anything else I've tried in the past. How the Silk'n Blue works is extremely simple. Once charged, you remove the device from its cradle, turn it on, and place it on the problem areas for 3 or 4 minutes. The natural blue light heats the surface and destroys the acne-causing bacteria that's under your skin. 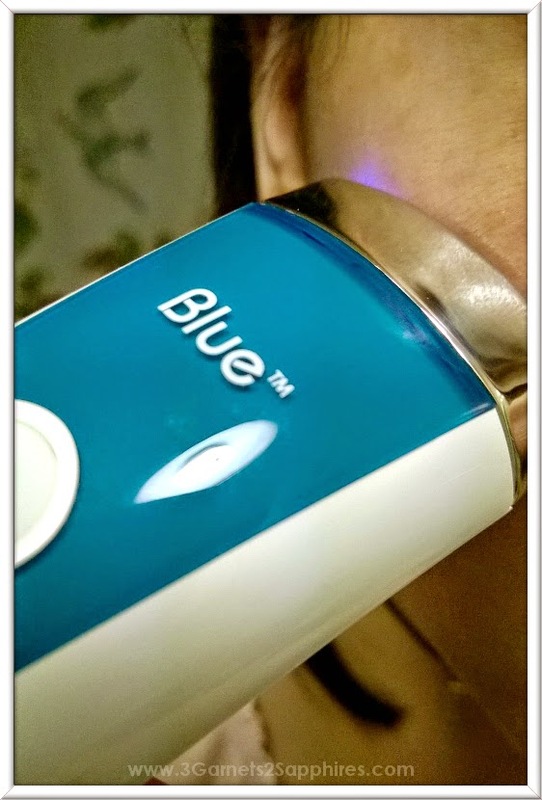 Although the blue-light area of the device becomes hot, it was never too hot for me to keep against my skin. The spot that was being treated sometimes reddened, but the redness went away in about 10 seconds or so. 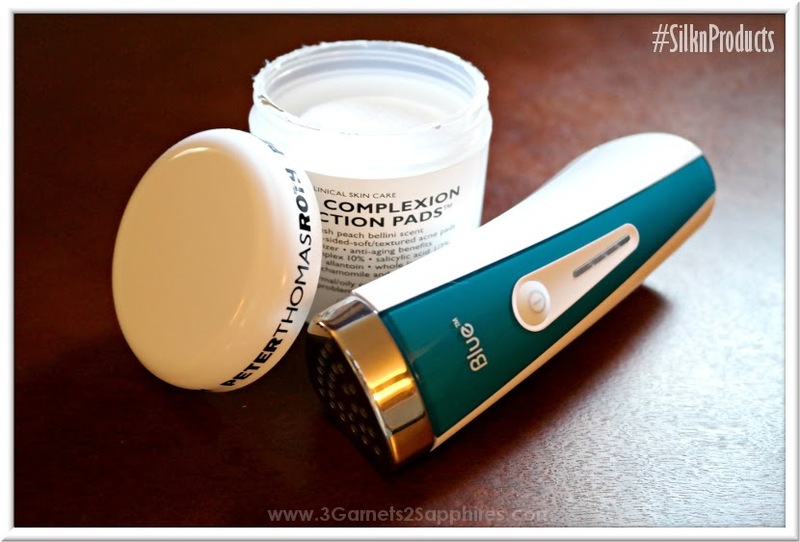 I experienced no adverse effects from using the Silk'n Blue acne treating device. That being said, it did not work as well for me as I had hoped it would. At times it seemed like I could notice a slightly smoother complexion and finer pores. Then we would have 2 or 3 days of horribly humid weather and my skin seemed to go right back where I had started. In addition to the sticky climate, there are a few other factors to consider . . . I only had about 4 to 5 weeks to test the product, I was not always able to complete the treatment twice in one day, and my stress level has been through the roof this summer. 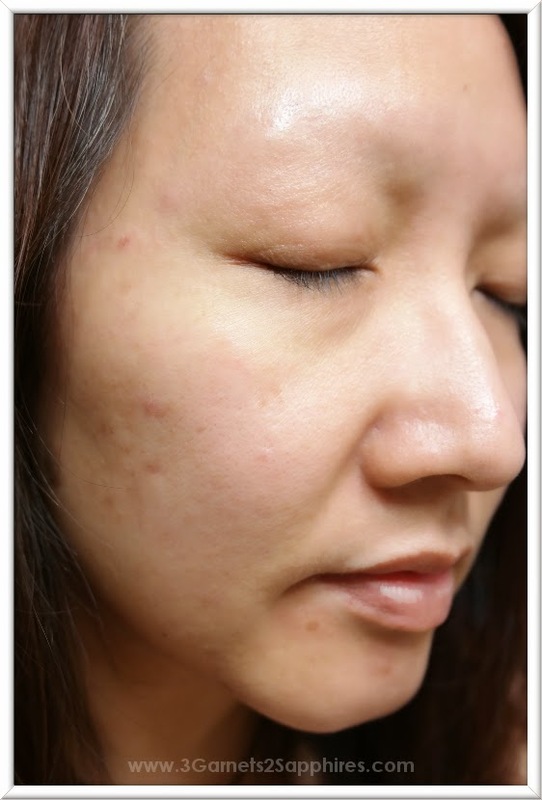 That is why I have not given up on this acne treatment. Like with many other types of treatments, sometimes one method is not as effective as combining two different methods. My plan for overcoming my adult acne is to pair the Silk'n Blue with a type of complexion correction pads I had never tried before, one containing both Glycolic Acid and Salicylic Acid. At the moment, I am testing out these pads alone. When I'm certain there are no adverse effects from these pads, I will try using them in conjunction with the Silk'n Blue acne treatment. Hopefully, my plan of attack will work as I envision, especially with the less humid fall weather approaching. I'm not sure what I can do about my stress levels, but maybe those other few changes will be enough to give me a healthier looking complexion? Cross your fingers for me! Want to learn more about FDA-approved Silk'n Blue? Visit www.Silkn.com, where you can save 20% off your purchase when you checkout using the Silk'n promo code EXTRATWENTY through 9/30/14.